Share even closer cuddles with your furry one with Merrick Fresh Kisses Double-Brush Coconut Oil & Botanicals or Mint Flavors Grain-Free Dental Dog Treats. 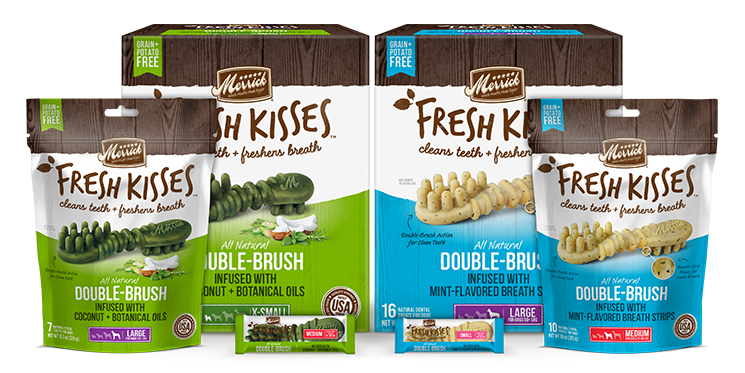 Merrick Fresh Kisses are the only dental treat to be both grain-free and potato-free. They are made with all-natural ingredients and, like all Merrick treats, are safely cooked in the USA. 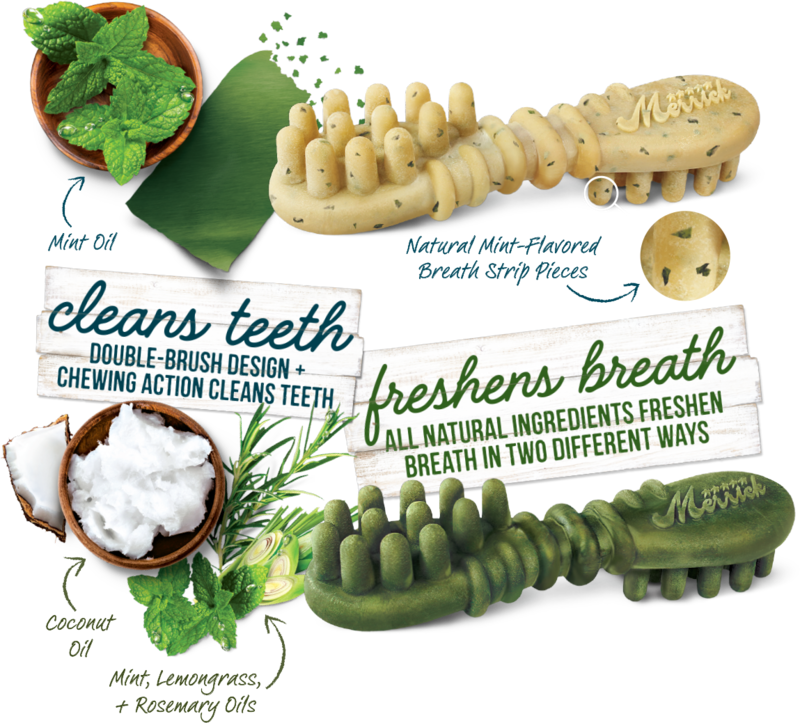 This uniquely designed treat has a double-brush action and a special blend of coconut oil and botanicals or natural mint to help keep teeth clean, fight plaque and tartar, and freshen breath. The grain-free formula is easily digestible since it’s made with natural peas and gelatin with no potatoes or anything artificial, and infused with coconut, peppermint, lemongrass, and rosemary oils or natural mint to keep the doggy smooches going. Perfectly sized for dogs ranging from extra small to extra large, it’s safely cooked in the USA without any grains, gluten, corn, soy, or artificial flavors, colors, or preservatives. Helps clean teeth, fight plaque and tartar, and freshen doggy breath with unique shape and botanical formula. Designed with a double-brush action to get in between teeth and help keep them clean with every bite. Formulated with coconut oil and a special blend of peppermint, lemongrass, and rosemary oils or natural mint to keep breath fresh for on demand smooches. It’s easily digestible since it’s made with natural peas, tapioca and gelatin, with no potatoes or grains. 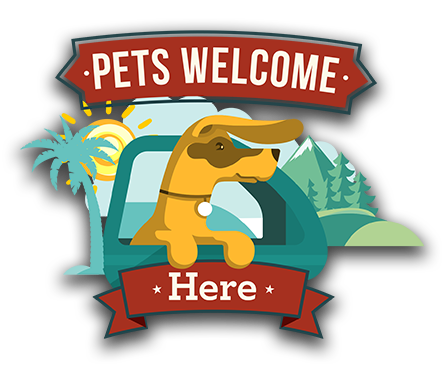 Sizes for dogs from extra small to extra large, and are made in the USA with no grains, gluten, corn, soy, or artificial flavors, colors, or preservatives.